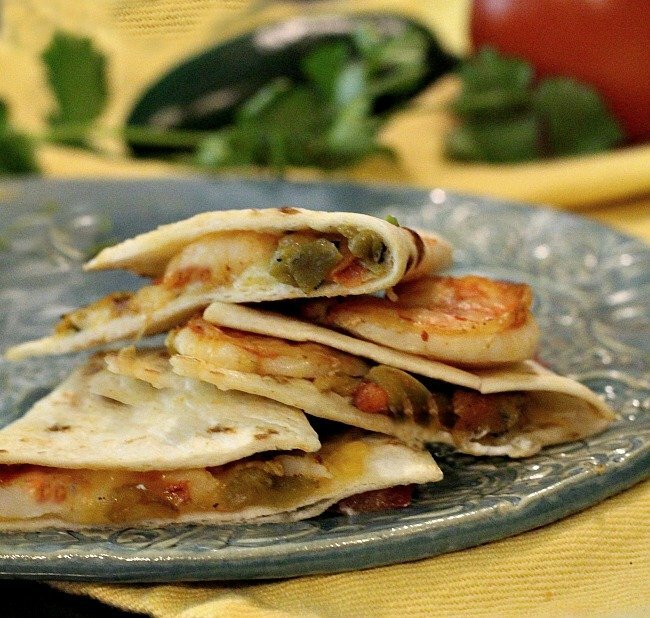 Green Chile Shrimp Quesadillas are a Shrimp Appetizer with a Southwestern touch. This Hatch green chili recipe is seasoned with New Mexico Red Chile Powder, mixed with Hatch Chile peppers. 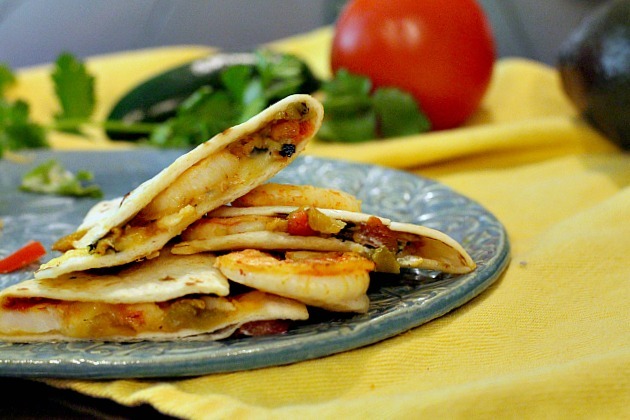 These shrimp quesadillas are perfect for lunch, dinner, or party appetizers. 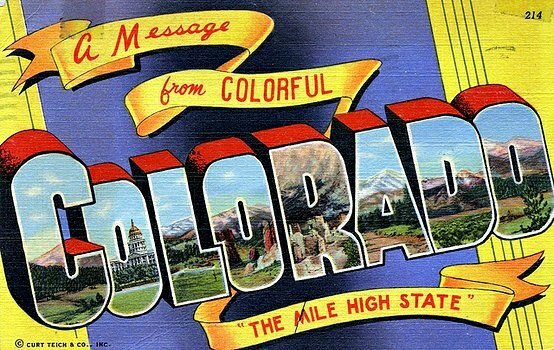 New Mexico Red Chile Powder – Is It Superior? On a recent trip to New Mexico, I found myself hauling home as many New Mexico food specialties as I could get my hands on. High priority on the treasure hunt was Chimayo Chile Powder. I found a packet of red chile powder at a local specialty spice shop in Taos, but the Chimayo label still eluded me. Naturally, I really hit the jackpot when we visited the village of Chimayo which is located on the High Road to Taos between Santa Fe and Taos. I found packets at several gift shops around the El Santurio de Chimayo area. Side note: A small church which is well known for its side chapel where the dirt floor is reputed to have healing powers. The National Park Service has called it “one of the most important Catholic pilgrimage centers in the United States.” In 1970, it became a National Historic Landmark. I also grabbed a a couple of bags of a beautiful deep red powder at Rancho de Chimayo Restaurant gift shop. Simply labeled New Mexico Red Chile. The Native American Chimayo chile is a small chile, about five inches long. The lower part of the pod is bent and its stem top indents like a royal crown. The growing conditions in Chimayo New Mexico contribute to this chile pepper’s distinct flavor and identity. Just like wine, it’s all about the terroir. 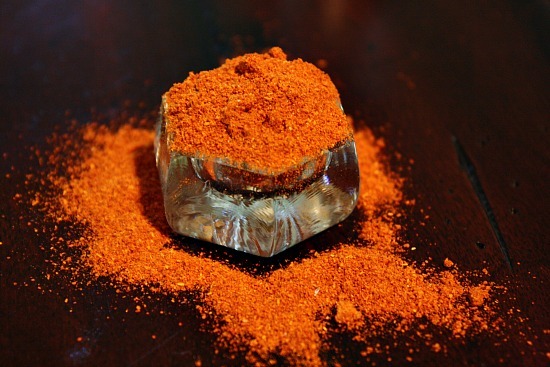 One way to identify authentic Chimayo Chili Powder is by its distinct pottery red-orange color. 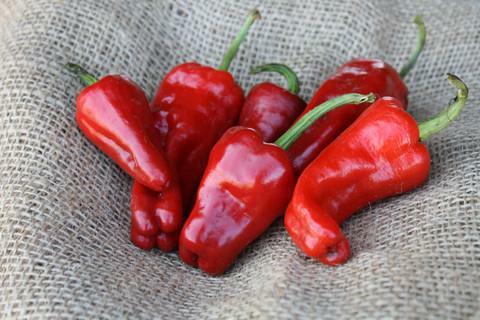 Native Chimayo chiles have medium heat and a smooth robust flavor with chocolate-like base tones. The remarkable thing about the real Chimayo chile is the ability to age the chile under controlled conditions. When aged properly, the chiles flavor is refined like a fine wine. If you’re interested, Saveur Magazine writes a great article about the village of Chimayo, it’s history and it’s culture. Is New Mexico Chile powder better? New Mexico is famous for it’s Chile peppers, so it’s no wonder their chile powders follow suit and bring a special richness in flavor. It certainly adds an authentic touch to Southwestern style cooking. Bold and spicy, and with a unique flavor profile, I treat this stuff like gold. So is it better? You bet! Absolutely! If you can’t make the trip to Chimayo, you can order these powders from on-line stores like Made in New Mexico, which is where I found this recipe. Whenever I’ve made quesadillas, I’ve sandwiched the ingredients between two flour tortillas and then proceeded with the preparation. Whether that be in an oven or on a stove top. The method for this recipe instructs to butter one side of the tortilla and place it buttered side down on a sheet pan. Add shredded Cheddar and Monterey Jack Cheese, chopped Hatch Green Chile and the sauteed shrimp. Fold over and bake until the whole things is hot and the cheese has melted. Garnish ideas: chopped avocado, guacamole, sour cream, chopped tomato and cilantro. The flour tortillas had just the right outer crunch, leaving the ingredients on the inside a cheesy delight. And using the sheet pans made the whole process easier than trying to toast them in a pan on the stove top. 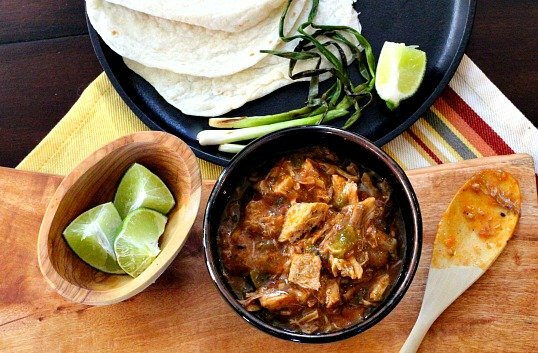 If you don’t have roasted Hatch chiles on hand, you can use canned chopped chiles. Or roast your own Anaheim or Poblano chiles. Place peppers under a broiler until blackened on all sides, turning occasionally. Or roast them over an open gas top flame until blackened on all sides. After roasting, place in a plastic bag for about 15 minutes. Remove most of the blackened skin with your hands. Do not run them under the water, you’ll wash away flavor. Cut the tops off, remove seeds and chop. These spicy shrimp quesadillas are a very tasty light dinner or perfect for a very special appetizer. Ranch Hand approved. Preheat oven to 350 degrees. (175 degrees C). Heat olive oil in a non-stick fry pan over medium high heat. When hot, add the oil. Sprinkle the shrimp with the Red Chile Powder, or paprika and saute until cooked. Just a few minutes each side. Remove from pan, slice in half and set aside. Lightly butter one side of each of the 4 tortillas. Place tortillas, buttered side down, on a flat cookie sheet or two sheet pans. On half of each of the 4 tortillas, spread both cheeses to within 1/4 inch of the edge. Spread the chopped green chile and sliced shrimp on top. Fold over the half of the tortilla with nothing on it and bake for 6-8 minutes or until the cheeses are melted and the tortillas start to brown slightly. Remove from the oven and cut each of the 4 tortillas into three pieces. Place pieces on serving plates. Garnish each piece with a dollop of sour cream. Arrange tomatoes and the avocado slices over the sour cream. Sprinkle with paprika or chipotle powder. If you don't have New Mexico Red Chile Powder, use paprika or any other good quality red chile powder you have on hand. Chili seasoning is a different product with a combination of spices and is used to season soups. If you don't have roasted Hatch chile on hand, you can use canned chopped chiles. Or roast your own Anaheim or Poblano chiles buy broiling until blackened on all sides, or roasting over an open gas top flame until blackened on all sides. Place in a plastic bag for about 15 minutes. Remove most of the blackened skin with your hands. Do not run them under the water, you'll wash away flavor. Cut the tops off, remove seeds and chop. Have to agree with you on the red chile powder. 🙂 I love all New Mexico red chile, but the Chimayo red chile powder is really very special. You remind me that I need to order some. Unless you go to Chimayo, it’s hard to find it local ABQ markets. 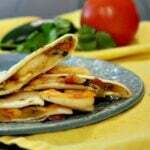 Love these quesadillas! Of course you got my attention with “green chile shrimp” – great combo and bet it’s great as a quesadilla. Thanks for sharing Lea Ann! 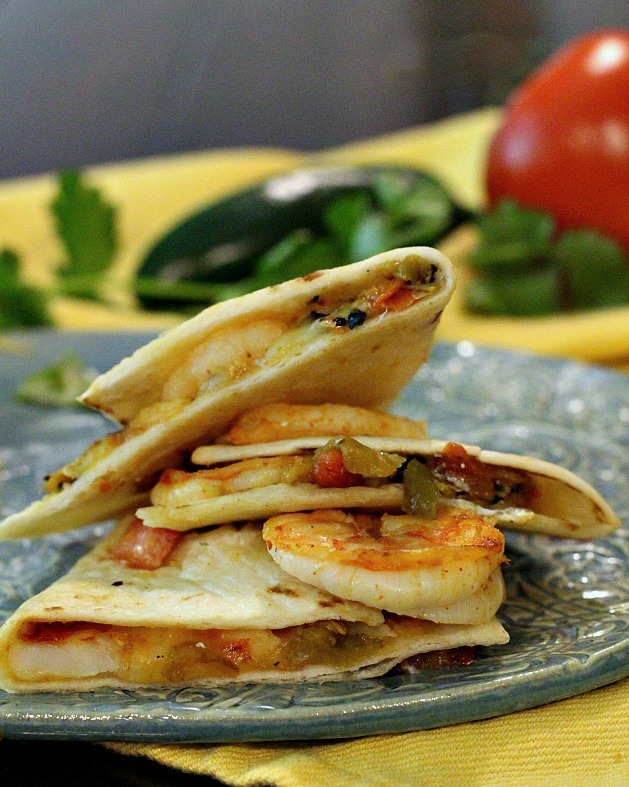 GREEN CHILE – SHRIMP – QUESADILLAS, no need to say more. Love it! I adore different types of chile powder love to add to my collection. Will be looking for Chimayo. Lea Ann, I just love quesadillas – and I like them folded in half like this. Your photos have made me soooo hungry. Must pick up some tortillas today. I am always on the hunt for green chile powder when we go to NM. I am adding the Chimayo version to my trip’s list (for whenever we go next). It’s been years since we have visited Chimayo and it is a very special place.